Explore the historic towns of the Tuscan countryside on this guided all-day adventure. After boarding your comfortable coach in Florence, travel with a friendly, informative guide to the towns of Siena, San Gimignano, and Pisa. 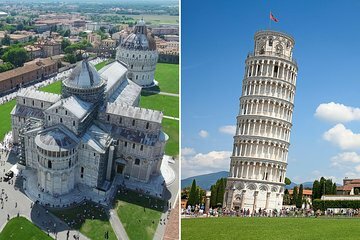 Marvel at sculptures by Michelangelo, enjoy complimentary wine and skip-the-line access to landmark sites, and tour the famous leaning bell tower of the Duomo di Pisa.